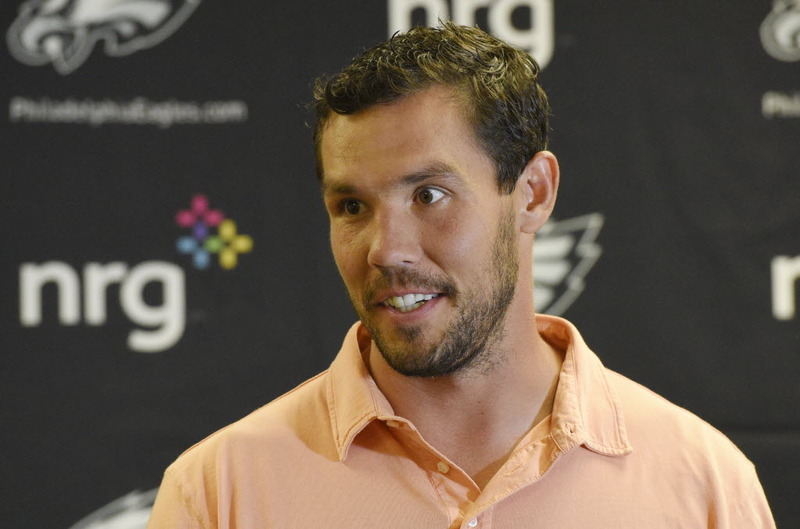 Just what are the Vikings getting in Sam Bradford? The Vikings didn’t waste much time trying to move on from Teddy Bridgewater’s devastating knee injury, announcing Saturday — four days later — that they have traded for Sam Bradford. The reported price — a first-round pick next year and a fourth-round pick in 2018 — sounds pretty steep, especially two days after GM Rick Spielman said he wouldn’t make a move that would jeopardize the franchise’s future. Two picks aren’t the entire future, but they are a part of it. 1) He was the No. 1 overall pick out of Oklahoma in 2010. Yes, that means he was (briefly) a college teammate of Adrian Peterson. It also mean he was once judged as the best prospect in all of college football. No. 1 overall picks who are QBs tend to have a pretty good track record. Quarterbacks have been chosen No. 1 overall 13 times in the last 20 drafts. Bradford probably falls somewhere in the middle of those selections — nowhere near a bust like JaMarcus Russell (2007) and nowhere near the first-ballot Hall of Famer like Peyton Manning. He’s one of eight No. 1 overall QB picks who figures to start at least the majority of his team’s games this season if healthy. The other seven: Carson Palmer, Eli Manning, Alex Smith, Matthew Stafford, Cam Newton Andrew Luck and Jameis Winston. That’s pretty good company. 2) The scariest part of this trade from a Vikings standpoint is that Bradford has had his own injury problems in the past. I talked earlier this week to Joe Banner, a former Eagles executive (though not during Bradford’s time there) and he stressed the importance of the Vikings getting a durable replacement. Bradford had a shoulder injury that limited him to just three games in his final college season. After a strong rookie year in which he started all 16 games, Bradford missed six games with an ankle sprain in his second season, 2011. He tore his left ACL midway through the 2013 season and re-tore in the 2014 preseason, causing him to miss 25 regular-season games combined between the two years. And he missed two games last season with the Eagles due to injuries. That’s 33 missed games in his first six seasons in the NFL — more than one-third of the possible games. 3) Overall, though, Bradford was pretty good in 2015 with the Eagles. He started 14 games and threw for 3,725 yards while completing 65 percent of his passes. Pro Football Focus had him graded as the No. 12 QB in the NFL last season (one spot ahead of Bridgewater, who they had 13). PFF also noted that Bradford led the NFL in adjusted completion percentage vs. pressure, something that could be important given the pressure he figures to face behind the Vikings’ still-in-question offensive line. 4) Bradford has a two-year contract, a fact that could mean a lot of things. It’s tough not to speculate that it could mean the Vikings fear Bridgewater won’t be ready in 2017. At the very least, it means they have a viable option this year and beyond. 5) The knock on Bradford is inconsistency, and playing in yet another offensive system will be an interesting adjustment. Still, what Vikings fans should expect — assuming of course that Bradford stays healthy — is a quarterback who is good on short passes and is surprisingly accurate on really deep throws. He’s not as great in the 15-30 yard range, so again we’ll see how that works with Norv Turner’s system. The bottom line is the Vikings have given themselves a chance to be contenders, but a lot has to go right with Bradford for that to be the case. Then again, the same could be said for late replacements in 1998 (Randall Cunningham) and 2009 (Brett Favre). If this season is anything like those (minus, you know, the crushing NFC title game heartbreak), this trade will have been more than worth it.